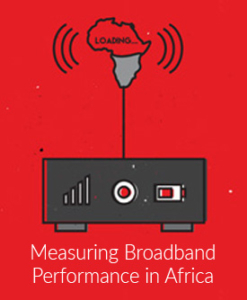 Research ICT Africa is still collecting mobile broadband speed and latency data for a project on measuring broadband performance in South Africa. More details on the project are available at this page. A smartphone, which was the prize for a competition open to those who participated to this study using My Speed Test App, has been awarded to Ryan from Howick. Congratulations to Ryan and thanks to all the participants of our study. Users can still run the tests and it is appreciated because we will rely on a wider dataset for our analysis on mobile broadband performance. We thank all users who have run the tests!